Restaurant, Wireless in main area. 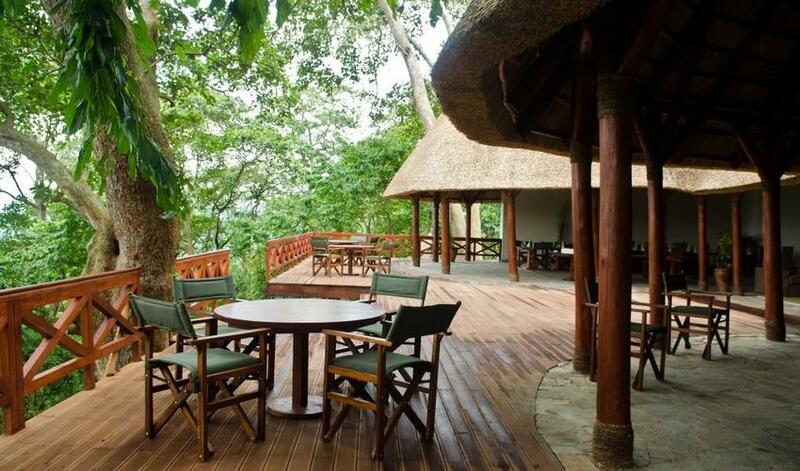 Mikeno Lodge, is a hub of activity set inside the Virunga Park headquarters at Rumanbago. 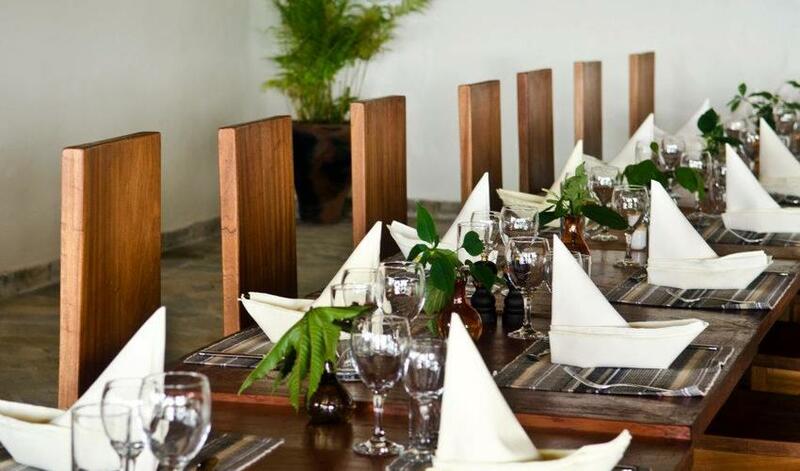 The main area and restaurant feel as though they are set high in the trees with fabulous views over the park and the Nyiragongo and Mikeno volcanoes. Some of the bungalows have similar views while others are set in among the trees. There is an abundance of bird life as well as resident blue monkeys, colobus monkeys, and baboons. Chimpanzees are also frequent visitors to the area. 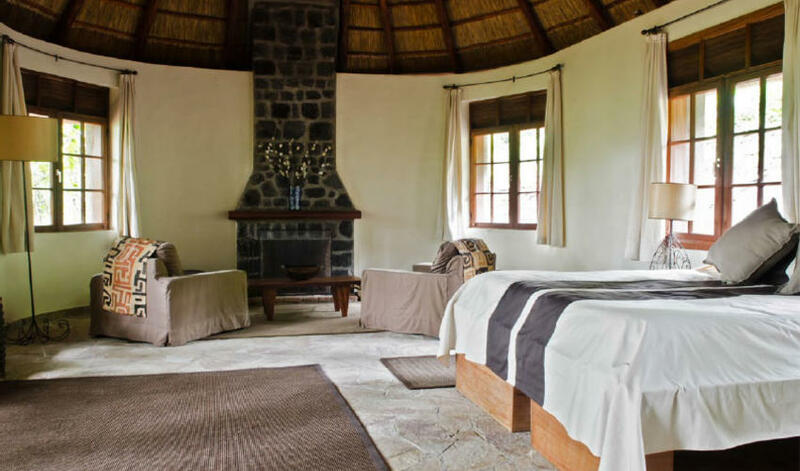 Mikeno Lodge’s 12 en-suite bungalows, are spacious, including a fireplace and terrace. Each bungalow has 24 hour electricity and hot and cold running water. The lodge’s main area has a good restaurant, wireless and a dramatic fire place to gather around in the evening. Mikeno Lodge offers a huge range of activities including chimp trekking, nature walks, easy access to the Senkwekwe gorilla orphanage, tours of the park headquarters and visits with the canine anti-poaching unit known as the “Congo Hounds.” Guests can also opt to stay at Mikeno Lodge instead of Bukima Tented Camp the night before their gorilla trek, you will just have an early morning and a 1.5 hour long drive before and after the trek. Given all of these options we think it is easy to spend 2-3 nights at Mikeno. Mikeno is a 90 minute drive from Goma on a (mostly) paved road. Visit the Canine Anti-Poaching Unit, meet their ranger caretakers and see a demonstration. Visit the Senkwekwe gorilla orphanage. This is within walking distance from the lodge. You have the possibility to meet André from the Oscar nominated documentary ‘Virunga.’ Note the Senkwekwe orphanage closes at 3pm. Tour the Virunga National Park Head Quarters and meet with some of the rangers, giving you more in depth information of the work that the rangers do and how the park operates. A forest walk around the lodge - great for birding! There is also the possibility of doing a chimpanzee habituation from Mikeno Lodge. This depends on where the chimpanzees are on the day and will need to be decided at the time. The cost is US$100 per person per trek, payable directly to Mikeno Lodge. 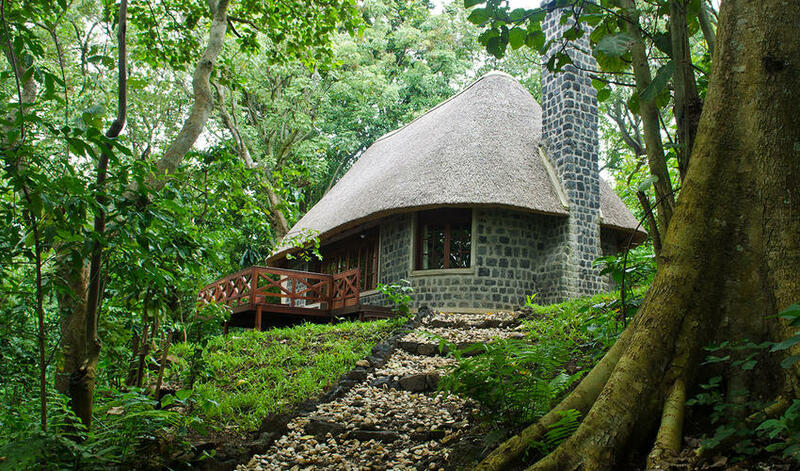 A guided walk to the nearby caves and coffee plantation visit, at extra cost, payable directly to Mikeno Lodge. A visit to the Kindergarten in local village Rumangabo. Impressive!!! Beautiful space. Nice ambiance. A great spot to prep for the Nyiragongo hike. They also have the best hot showers in the world!"